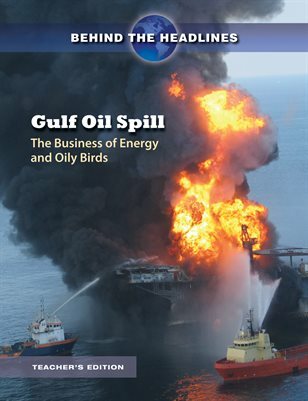 A companion to the student edition of the Gulf Oil Spill from Behind the Headlines, the Teacher's Edition facilitates teaching the topic in the classroom. The entire text of the student edition is provided with annotations, including discussion questions and vocabulary words. Key concepts in the article are aligned to the National Council on Social Studies thematic strands. Also includes lesson plans and learning activities, as well as an assessment. Teacher's edition available for free with purchase of 20 or more student editions.